The Janus Funds manager is warning that the Himalayan heights investors have scaled over a 35-year bull market leave no more room to climb. Mount Everest may be a symbol of mountainous immobility, but as the deadly Nepal earthquake recently demonstrated, tectonic moves under the surface belie its apparent stability. 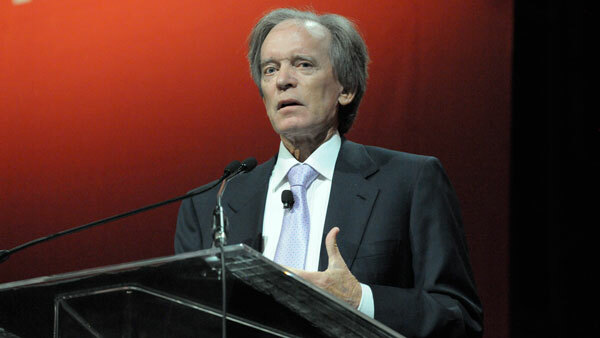 In like fashion, Janus Funds bond manager Bill Gross is warning in his latest letter to shareholders that the Himalayan heights that investors have scaled over the course of a 35-year bull market leave no more room to climb. “Get down off this peak,” Gross warns. The age of the great bull run beginning in 1981 has induced many widely followed fund managers such as Jeremy Grantham to warn of the poor beast’s exhaustion — having already delivered a “20-banger” to investors who bought in when Treasury rates were at 14.50% and the Dow at 900. Indeed, many — Gross included — have sounded alarms about low future returns prematurely. But while the Janus manager cannot pinpoint the exact timing, he dismisses the voices of those who think the return of normalization — defined as 2% growth and 2% inflation — is possible, arguing that such a notion rests of the belief that a global debt crisis can be cured with more debt. Seven years after the Lehman crisis, the global economy “continues to lever as opposed to delever,” Gross writes. What convinces Gross that the end of the bull market must be nigh is the current trend of central banks driving interest rates into negative territory — as means of stimulating growth amid economic anemia. The bond manager’s certitude about this stems from his knowledge that “all other financial asset prices are inextricably linked to global yields which discount future cash flows. But that cannot happen because of the global economy’s growth-stunting structural problems such as aging demographics, high debt-to-GDP ratios and technological displacement of labor. What that means is that “credit-based oxygen is running out” on the Everest-like asset-price peak that Gross urges investors to climb down. “A rational investor must indeed have a sense of an ending,” Gross lugubriously intones. “At 0%, the cost of carry is just that, and the inevitable return to 1% or 2% yields becomes a high probability, which will lead to a 15% ‘capital gain’ over an uncertain period of time,” Gross writes. Thus, a winning portfolio manager in the next 35 years “will be one that refocuses on the possibility of periodic negative annual returns and minuscule Sharpe ratios and who employs defensive choices that can be mildly levered to exceed cash returns, if only by 300 to 400 basis points,” he writes. “Active asset managers…conveniently forget that their (my) industry has failed to reduce fees as a percentage of assets, which have multiplied by at least a factor of 20 since 1981. They believe therefore, that they and their industry deserve to be 20 times richer because of their skill or better yet, their introduction of confusing and sometimes destructive quantitative technologies and derivatives that led to Lehman and the Great Recession,” he writes. Janus Funds is unique in employing a performance-fee based system that rewards management when shareholders do well while falling amid periods of underperformance.